To capture a really good picture of this beautiful flower has been an obsession of mine since I first saw it (that's a story in itself!) 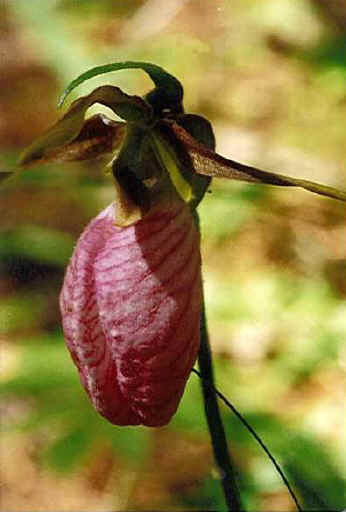 They grow in sandy soil under pines both in Keweenaw and in the Pictured Rocks Lakeshore, and they bloom from the middle to end of June, depending upon the season. This is my best effort to date, taken in the Grand Sable Dunes in about 1997.